For the past two weeks, my family and I have taken a short trip to the island nation The Republic of Vanuatu, in the South Pacific. This is my second visit, my first being a work trip visiting a community run turtle research project. Take a recycled fashion blogger to a new location, and she is surely destined to seek out the nearest second hand fashion outlet, all in the name of blog research! A few doors down from our apartment in Port Vila, the nations capital, I spot Stanley's Imports second hand clothing store. 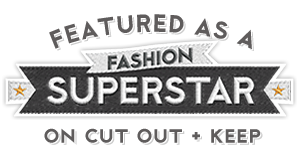 Expecting a shop dedicated to the local attire; mother hubbard dresses, Hawaiian shirts and Asian made angry birds T-shirts, I am surprised to find evening dresses, casual dresses, jeans, knitwear, button up shirts, fabric, home wear, and kids toys. 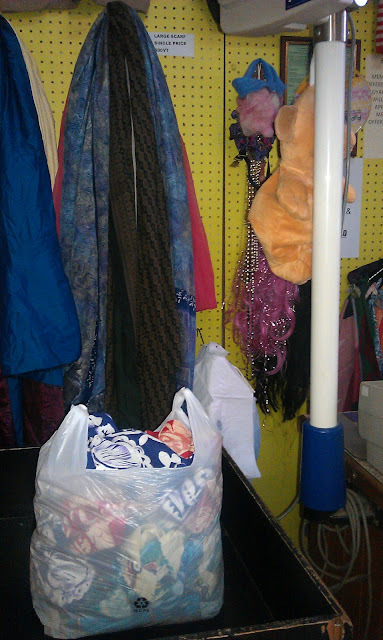 The difference to your average thrift store are two prominent things, firstly the layout. 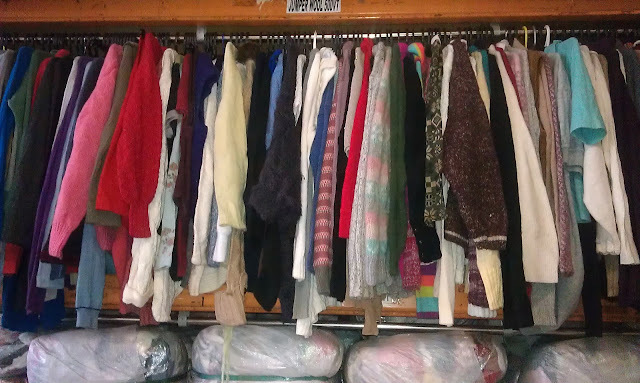 Evening dresses, buttoned shirts, and knitwear are displayed on hangers by clothing racks. Other garments, however, are jumbled together in large wooden containers, ready for good old rummage like an old fashioned jumble sale. Fun! Is it really cold enough for knitwear?! Apparently so! The second difference, is the pricing structure, you pay per the kilo rather than a single item, 1kilo of clothing is 900vt. It was not difficult to weigh up 1kilo, I managed to pick up two great dresses, and three Hawaiian shirts for a friend, 1.1kilo which I paid 990vt. Not a bad deal, considering one Hawaiian shirt bought new would be $15-20. I contacted Stanley Imports, intrigued to find about their second hand clothing trade in a country with the reputation of the happiest place on the earth. Q. Where do you obtain your second hand clothing from? Q. Is there much demand for second hand clothes in Vanuatu? There is relatively a big demand on second hand clothing given the expensive clothing outlet in town with the Chinese shops and the quality just does not last. 2-3 weeks and they are broken. This is the comments that we get from our customers. Q. Do you operate the only second hand clothing store in Vanuatu, or are there others? There are several other second hand outlet in town. 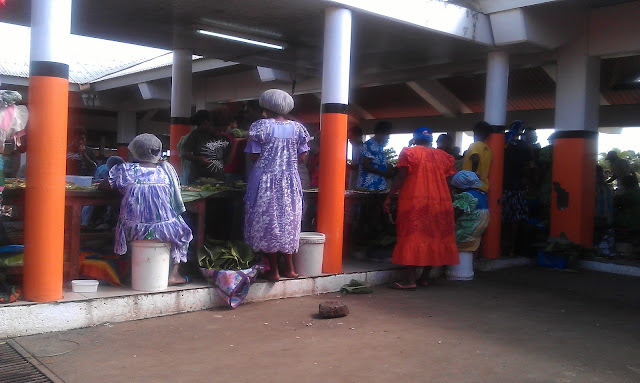 Overall if counting the little retail shops, there would be around 8 shops around Port Vila. Q. 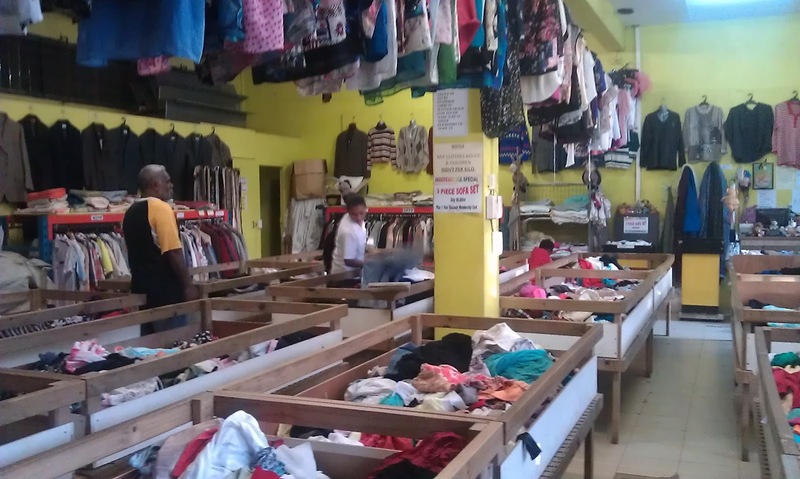 Do many tourists shop at your second hand clothing stores? Q. 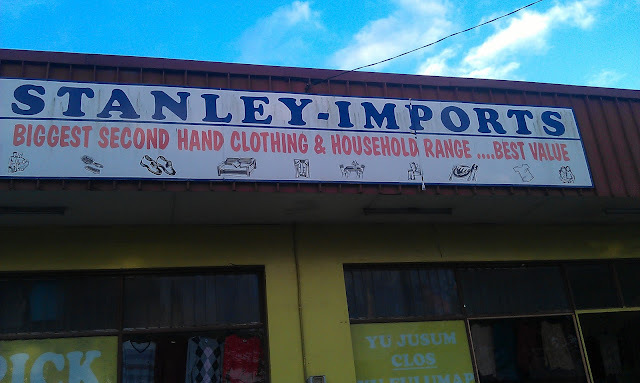 How many second hand clothing stores do you have in Vanuatu? Plans to open any more? We currently have 3 shops here in Port Vila and 1 shop in Santo town. We are always looking at new ideas and opportunities to expand where the market allows us to perform. Ideally, our future focus would be to have a good size retail outlet to fit everything under one roof. I guess like a warehouse style outlet. which appears to be my preference of late. Whilst I did not see too many mother hubbard dresses in Stanley Imports, these wide loose fitting, brightly coloured, floral cover up dresses, are ladies most common attire throughout the islands. 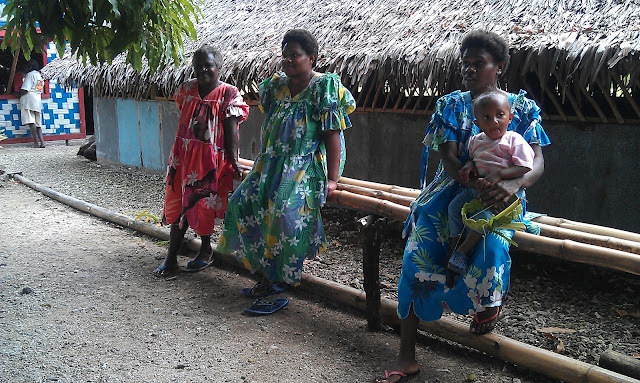 I asked these ladies in a village in north Efate if they made their own dresses, to which they reply they do indeed, with a sewing machine. With lack of electricity, one can only assume their sewing machines are turned by hand. Aren't they fantastic? 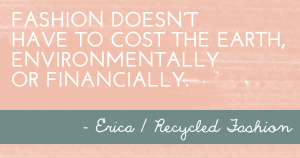 If you've missed Recycled Fashion Finds, they'll be a recap and new link up next week. Also don't forget Brag Your Best Buys contest is still open and waiting for your entries! 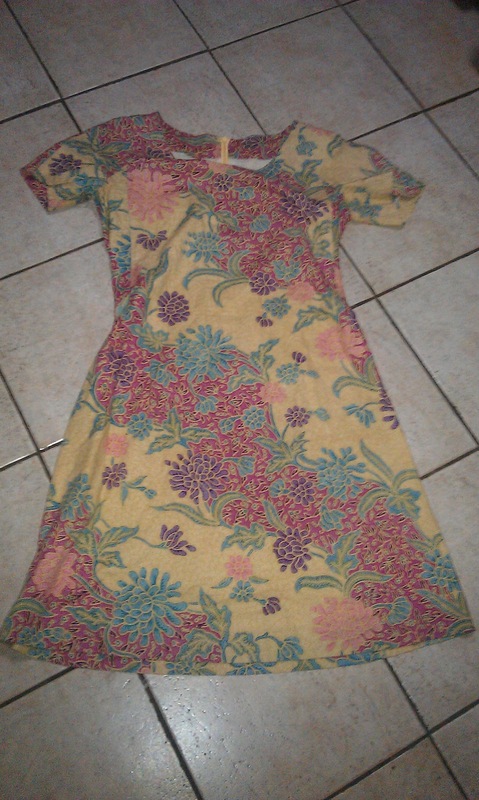 Clothing by the kilo - that was a fun day for you, I wager : > I adore the colorful mother Hubbard dresses. Sounds fantastic Erica. Hope you had a fabulous break. I love this. I am always looking for charity shops wherever I go and just love the fact that they are all ove rthe world. It is really interesting that the items are imported from Australia. There are a lot of "op shops" in Aus so I guess it makes sense. It is also interesting that brands are not something which makes any difference to the price as this is something that charity shops in the UK have really focused on. Oh Girl, you brought a tear to my eye. 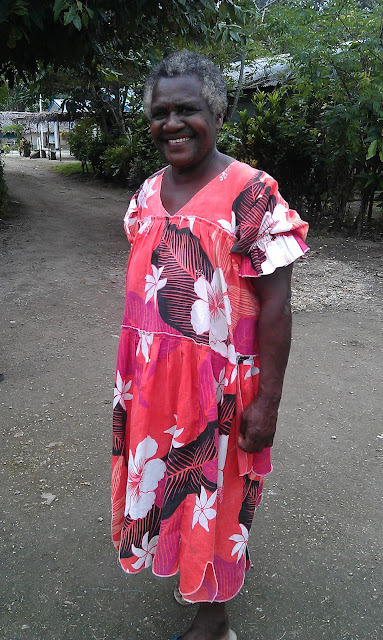 I have several traditional dresses from Vanuatu. Ranging from size 5 right up to adult... Why? Because my mothers family is from Santo and I know the shop that is there too!! When I first visited with my family I couldn't figure out why my mum would take more clothes for our family over there than our own. Then I saw my nevan cousins wearing our grown out of clothes and got it!! I have never felt more at home than I did during my trips there as a child and a teen.